Cost: Tuition $80. Member Tuition $60. Materials Fee $20. Glass bead making is an ancient art form that has experienced a great resurgence in the past several years. There are countless varieties of style, color and shape that combine to make beautiful and unique glass beads. 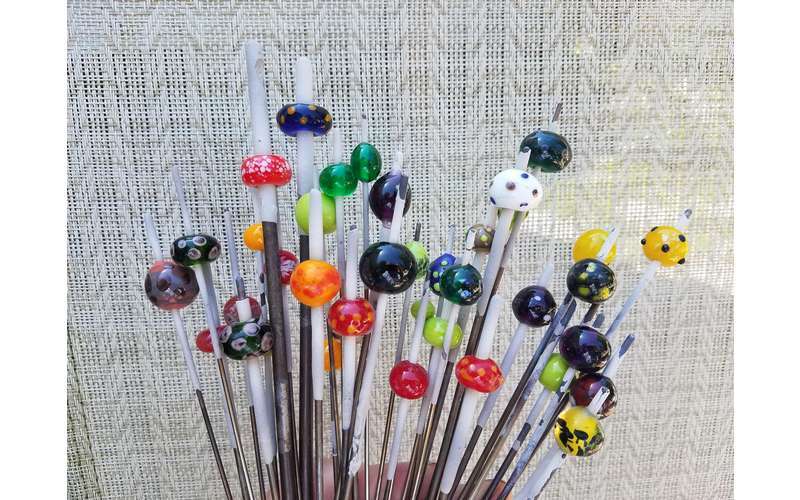 In this class you will be introduced to the equipment, tools, materials and techniques used to safely melt and form glass into glass beads. You will learn how to lay dots and lines on the surface of the bead as a basis of bead design and style. Learn how to use tools and marvering techniques to shape glass into round beads. You will leave the class with your own beautiful beads and perhaps a dose of glass bead fever!